Where do suppliers submit invoices and what information needs to be included? 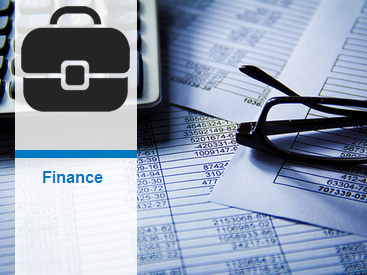 The Finance Management Function incorporates the control and management of the Council's finances both revenue and capital. More information on the various services provided by the section is available from the links right menu bar. compiling various reports and returns. The Council's expenditure is divided between Revenue and Capital. This is money spent on the creation of an asset. Examples of these are the building of Council houses and road construction. These projects are funded by way of Department grant or by loan over the construction period but when the project is completed the operational costs are funded from Revenue Expenditure. How do I contact the Revenue Commissioners? Revenue postal address for sending Local Property Tax (LPT) and Household Charge (HC) payments after July 1. Register appropriately with www.eTenders.gov.ie and www.SupplyGov.ie, and then you will receive notification when tenders are advertised. Where does Tipperary County Council advertise its tenders? It is a government requirement that the organisation’s aggregate spend of over €25,000 on goods and services; €50,000 on works; €10,000 on ICT are advertised on eTenders. If the spend is €209,000 on goods and services; €5,225,000 on works, they are also advertised in the OJEU (Official Journal of the European Union) via eTenders. How do I register with eTenders? Go to the ‘Supplier Company Registration’ tab down the left hand side of the home page www.etenders.gov.ie and follow the instructions. How do I register with SupplyGov? SupplyGov is a procurement system which facilitates the Local Authorities and other state agencies to run mini-tenders (from frameworks that have already been advertised on eTenders). It primarily deals with categories relating to Plant Hire; Minor Building & Civil Works and related training. Suppliers can register at www.supplygov.ie and completing the necessary checklists and documentation. All new Frameworks are published as a contract notice on eTenders, the Irish Government Portal. So it is vital that you are registered on eTenders if you want notification of relevant frameworks relating to Plant Hire; Minor Building & Civil Works and related training. You cannot join an existing framework until the framework is re-advertised. Where will I find a list of the existing OGP national procurement arrangements? If you use the supplier section of the homepage at www.procurement.ie you can search for existing OGP national procurement arrangements the various categories and sectors. Where will I find a list of the existing SupplyGov frameworks? How do I quote for business under the€25,000 eTenders threshold? In compliance with national requirements, Tipperary County Council is participating in national procurement arrangements as they come on stream. We are also developing our own frameworks where required. There will be fewer and fewer one-off quotation arrangements as the roll-out of frameworks continue. Any existing panels or other arrangements will be succeeded by advertised systems over time. These arrangements will advertised on eTenders. So another reminder, that no matter what goods or services you provide, you will receive notification if registered on eTenders with all the codes indicated if you wish to be informed. What goods and services can I register to supply under Quotations on SupplyGov? Maintain essential and other local authority services across the county.